Idris Elba’s directorial debut Yardie is finally getting ready to hit theaters this Spring. Elba has had a long and prosperous career but, up until recently, he hadn’t actually stepped behind the camera. That changed last year when Yardie made its debut on the festival circuit, playing at Sundance and the Berlin International Film Festival. Now, nearly a year later, we finally know when moviegoers will have the chance to see what Elba can do as a director. StudioCanal, who will be handling distribution of the Idris Elba directed movie, has revealed that Yardie will arrive in theaters in mid-March. Unfortunately, they didn’t provide an exact release date just yet, but that probably has to do with the release strategy. Often times with a smaller movie such as this, studios will opt to first do a limited release in several screens in major cities. Then, depending on how that goes, they will do an expansion. It’s also become increasingly common for studios to do a day-and-date release, where the title hits theaters and digital platforms at the same time. Though, it appears Yardie will be going the more traditional route. Yaride, based on the novel of the same name, is set in ’70s Kingston and ’80s Hackney. The movie centers on the life of a young Jamaican man named D, who has never fully recovered from the murder of his older brother Jerry Dread, which happened during his childhood. D grows up under the wing of a Kingston Don and music producer named King Fox, who sends him to London, where he reconnects with his childhood sweetheart, Yvonne, and his daughter who he hasn’t seen since she was just a baby. He also connects with a soundclash crew, High Noon. But before he can be convinced to abandon his life of crime, he meets the man who shot his brother all those years ago, which sends him on a bloody journey of revenge. The history of Yardie is actually quite interesting. It started as a novel written by Victor Headley that was originally released in 1992. It was published by X Press, a two-man operation and distributed through scrappy, non-traditional means, like being sold at clothing shops or outside of nightclubs. It went on to become a cult hit, selling 30,000 copies and has now been turned into a movie by one of Hollywood’s biggest stars. Headley penned the screenplay alongside Brock Norman Brock and Martin Stellman. Aml Ameen (The Maze Runner), Shantol Jackson (Sugar! ), Stephen Graham (Pirates of the Caribbean), Sheldon Shepherd (Better Mus’ Come) and Naomie Ackie (Star Wars 9) star. 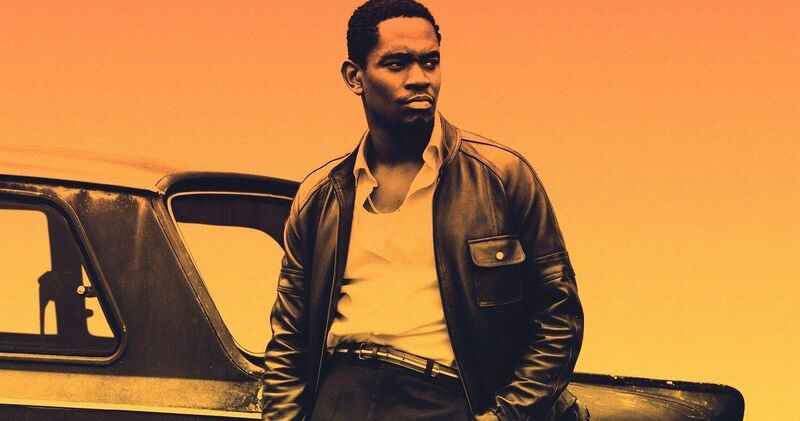 Given Idris Elba’s fondness for music, as he’s a DJ who will appear later this year at Coachella, it shouldn’t be surprising to learn that the movie has a killer soundtrack which includes tracks from Dennis Brown, Grace Jones, Skip Marley, The Isley Brothers, Yellowman and more. A trailer was released last year, which can be seen over at the StudiocanalUK YouTube channel below.